Notches, plenty of cameras, and flagship prices - all the rumors and leaks about the P20 series pointed to those. 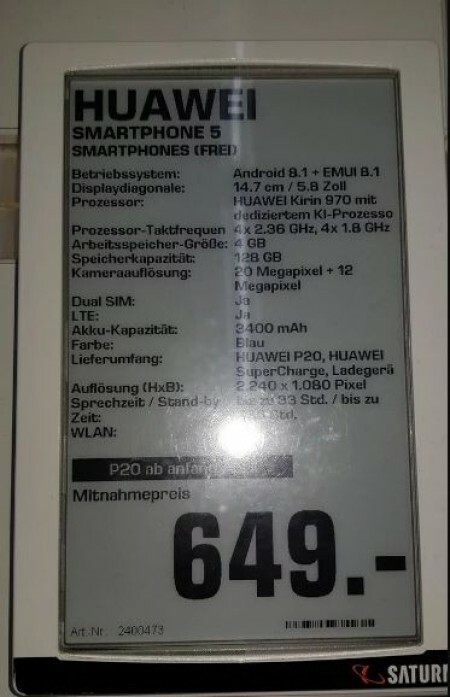 Now everything is revealed, thanks to leaked specs sheet by the German retailer Saturn. The retail info sheets that seem like the real deal show that the Huawei P20 will have 20 MP + 12 MP camera setup, most likely the already familiar Monochrome + RGB setup from the Mate 10 series, while the P20 Pro will have a triple camera combo of 40 + 20 + 8 MP. Huawei P20 will arrive with a notched 5.8” front panel that sports a resolution of 2240 x 1080 pixels. The chipset, unsurprisingly, is Kirin 970 with its CPU clocked at 2.36 GHz. There is 4 GB RAM and 128 GB storage, but no word on microSD slot. The battery will have 3,340 mAh capacity and will support quick top-ups via Huawei’s SuperCharge technology. There is EMUI 8.1 based on Android Oreo, but we will only know what the differences from the EMUI 8.0 tomorrow when the phone is unveiled. The Huawei P20 Pro looks like a genuine cameraphone powerhouse. The 40 MP sensor will reportedly serve as the primary camera, while the 8 MP one will serve as a telephoto addition with “hybrid zoom” - 3x optical zoom, 5x magnification. The third cam is reported to be a Monochrome sensor that adds depth and details in low-light photos. 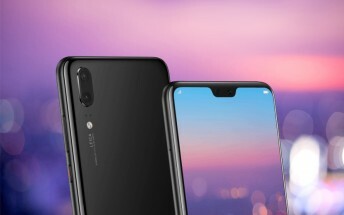 Huawei P20 Pro is listed in “Twilight” color, meaning we will indeed see a device that has completely different colors depending on the angle of light. 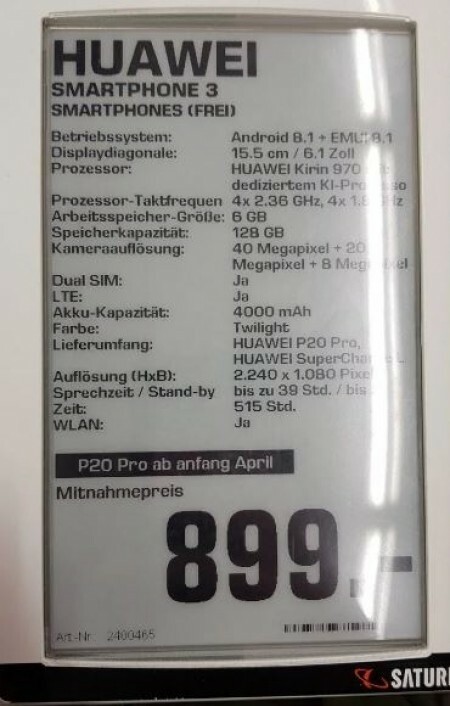 Previously rumored prices in Europe also got confirmed - €649 for a 4/128 GB Huawei P20 and €899 for a 6/128 GB Huawei P20 Pro. We will be attending the Paris event tomorrow to spend some quality time with the P20. Keep an eye on our homepage for exclusive photos and details about the new flagships that we will report once the phones are announced. Event begins at 1PM GMT tomorrow and we'll also provide you a livestream link if you want to follow it from the comfort of your home.